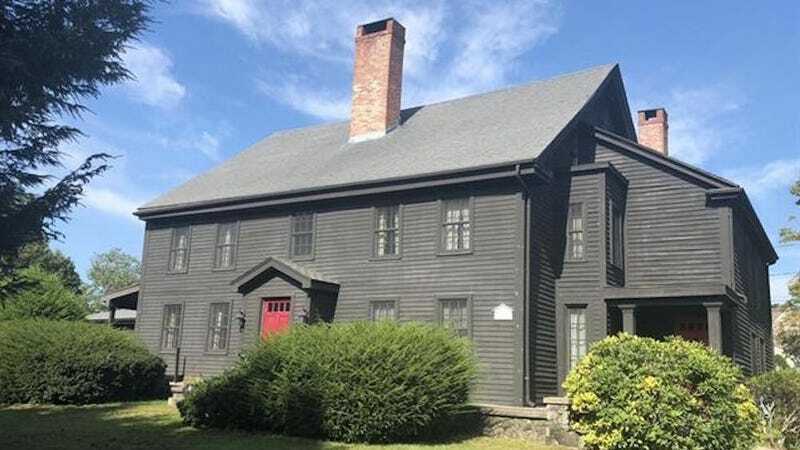 Just in time for Halloween, the home of John Proctor—who was hanged after being convicted during the infamous Salem Witch Trials, and became the protagonist of The Crucible—is up for sale. How much of the home John Proctor actually lived in, and operated a tavern in, isn’t exactly known, according to curator Kelly Daniell of the Peabody Historical Society. While the current residence definitely sits on the land Proctor and his family farmed and operated their business on, the structure could have part of the original home inside, or, perhaps, it was rebuilt on that original foundation, Daniell said. Some testing of the house indicates that it was built after Proctor’s death, she said, but in-depth testing hasn’t been done because the home has been privately owned. Close enough that the local historical society is one of the interested parties in the mix, though! Really, there are so many things you could do with this home. You could rent it out to groups of witches on Airbnb. The neighbors would hate you, but you can just glower menacingly at them from underneath your pointy hat. Or you could use it to lure people who want to do campy ironic witchy adjacent stuff, then once you’ve got their attention, explain to them that actually, reminder, there weren’t any witches in Salem—it was a bunch of people who were falsely accused for extremely complicated reasons. You could even turn it into a sort of community center for witches; there’s even a swimming pool, so you can separate the truth witches from the agents of Cotton Mather looking to infiltrate your inner sanctum. Or don’t, and just write this urban fantasy novel, instead. Of course, you could just live there. It kinda looks like the house from Little Women, you could probably do beautiful wildflower things with the landscaping, and just imagine—six bedrooms!